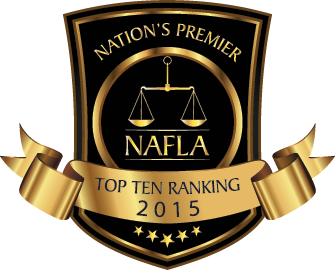 Mr. Lee was named a Top Ten Family Law Attorney Under 40 in South Carolina by the National Academy of Family Law Attorneys for 2015. 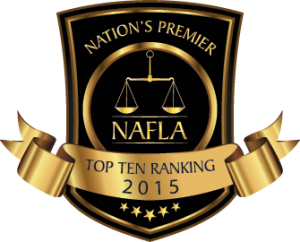 -Criminal Defense including: South Carolina felony offenses, South Carolina misdemeanor offenses, DUI (driving under the influence), DWI (driving while intoxicated), state level ICE Holds, and DV (domestic violence) of all degrees. -Personal Injury including: automobile wrecks/crashes, dog bites, and motorcycle wrecks/crashes. In addition to his private practice, Mr. Lee also serves as a Municipal Court Judge for the Town of Bluffton. 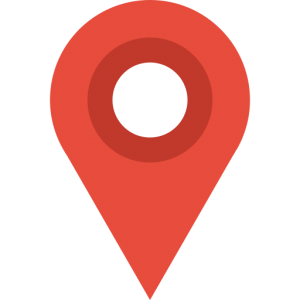 If you need to send Mr. Lee correspondence regarding official court business, please use the address listed by the South Carolina Judicial Department (click link for address – a new browser window will open). Mr. Lee followed the same attorney mentor’s guidance, and stayed at the University of South Carolina for law school. During law school, Mr. Lee clerked his second and third years for the law firm then known as Gergel, Nickles, and Solomon P.A. Gergel, Nickles, and Solomon was a small firm, with five (5) attorneys, located in downtown Columbia, South Carolina, handling matters statewide. Mr. Richard Gergel, a then named partner, is currently a federal district court judge based out of Charleston, South Carolina, and Mr. Carl Solomon is a past president of the South Carolina Bar Association. Mr. Lee was able to gain invaluable experience working for the firm as a law clerk, with each of the attorneys one-on-one in the small firm environment, and Mr. Lee is especially grateful for the excellent guidance he was given by attorney Al Nickles (Mr. Lee considers Mr. Nickles to be one of the best legal writers in South Carolina). Mr. Lee also worked as a live-in graduate Resident Tutor for the residents of Preston Hall at the University of South Carolina and participated in the Juvenile Justice clinic at the law school, representing juveniles in delinquency proceedings in Richland County, both during his third year of law school. After being sworn in as a member of the South Carolina Bar, Mr. Lee opened Lee Law Firm, LLC, in December, 2008, with the aim of providing quality legal services to members of the community. 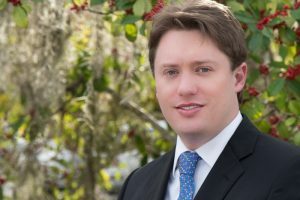 Mr. Lee is a member of the South Carolina Bar Association, the Hilton Head Island Bar Association, the Beaufort County Bar Association, the South Carolina Bar’s Family Law Section, and the South Carolina Bar’s Criminal Law Section. In addition to the practice of law, Mr. Lee enjoys both mountain and road biking, and spending time with friends and family.